Iran Charges 'Washington Post' Reporter With Espionage : The Two-Way Jason Rezaian's lawyer says he has been charged with four serious crimes. The Washington Post's Tehran bureau chief has been detained for nine months and held in the notorious Evin prison. Jason Rezaian, an Iranian-American correspondent for the Washington Post, faces four serious charges, including espionage, according to his lawyer. He's shown in 2013. Iran is charging a Washington Post reporter with four crimes, including espionage, the newspaper said today. This is the first time the precise charges against Jason Rezaian, the Post's bureau chief in Tehran, have been made public since he was detained by the Iranian authorities nine months ago. 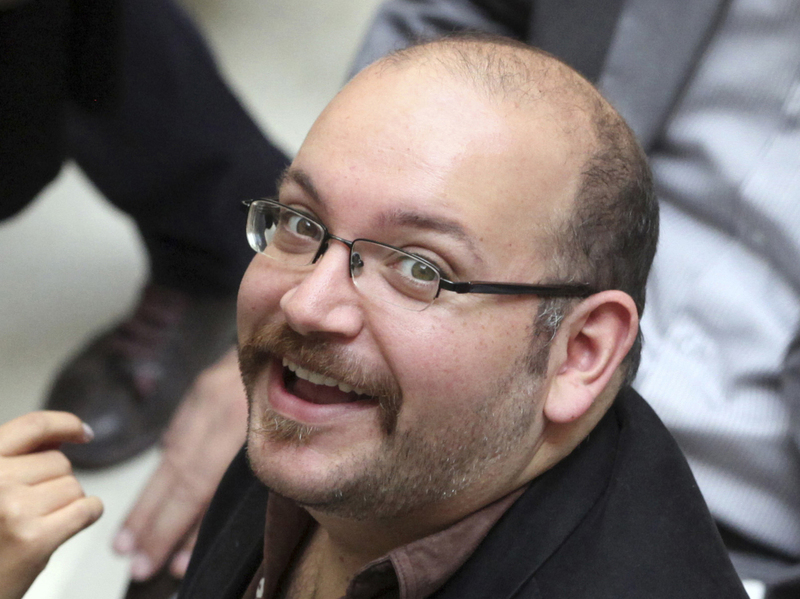 Rezaian's lawyer, Leilah Ahsan, issued a statement laying out the charges against her client. They include "collaborating with hostile governments" and "propaganda against the establishment," according to the Post. Ahsan said the indictment alleges Rezaian collected information "about internal and foreign policy." The newspaper says Ahsan is the only individual outside of Iran's judiciary to have read the indictment. Ahsan said the case file presents no evidence to justify the charges against her client and that the charges are related to Rezaian's journalistic pursuit of Iranian stories. Martin Baron, the Post's executive editor, called the charges "absurd and scurrilous" and has made a plea for the Iranian judiciary and the judge in the case to exonerate Rezaian and his wife, Yageneh Salehi, also a journalist who was arrested with her husband but later freed on bail. Rezaian is a 39-year-old Iranian-American dual citizen from California. He had been the Post's bureau chief in Tehran since 2012. He has been held in Tehran's Evin prison during his incarceration. One of Rezaian's last projects before he was detained was a lunch with celebrity travel journalist Anthony Bourdain last June, just six weeks before his arrest, according to USA Today. State Department spokeswoman Marie Harf said the U.S. had no official confirmation of charges being filed against Rezaian but that it would be "patently absurd" if reports of espionage charges against him are true.